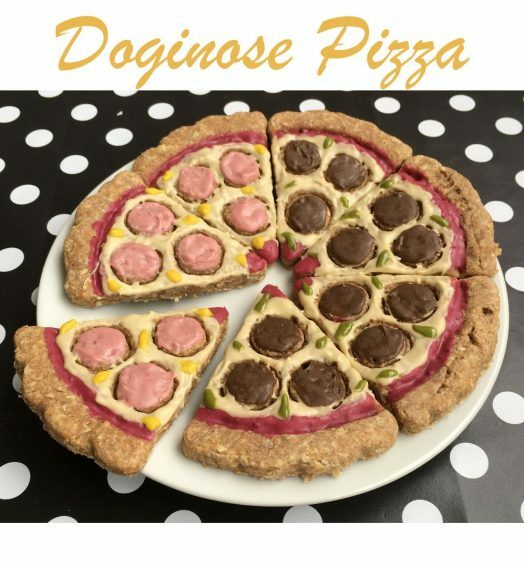 Ruffles Doginose Pizza is available for delivery or collection. Are you planning a Pizza Takeaway night in? Yes!! 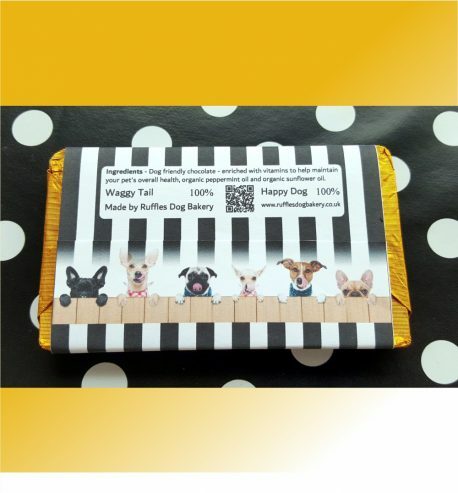 Then why not order your dog a pizza from Ruffles Dog Bakery for delivery or collection from our bakery in Derby so you can all enjoy a great evening in together! 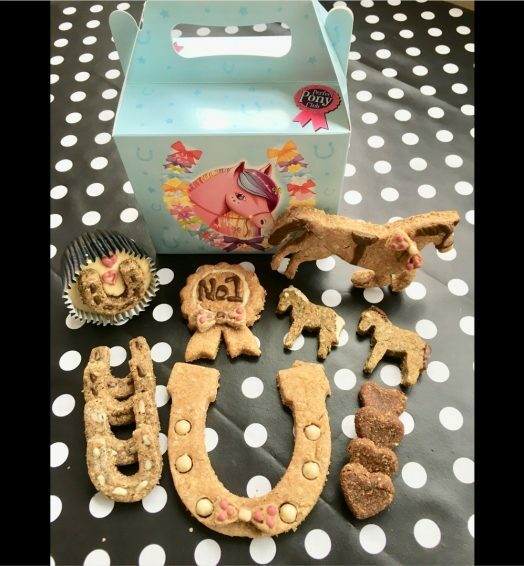 Ruffles Horsey Treat Box – Due to demand we have decided to add to our collection of treats an Equestrian Range. 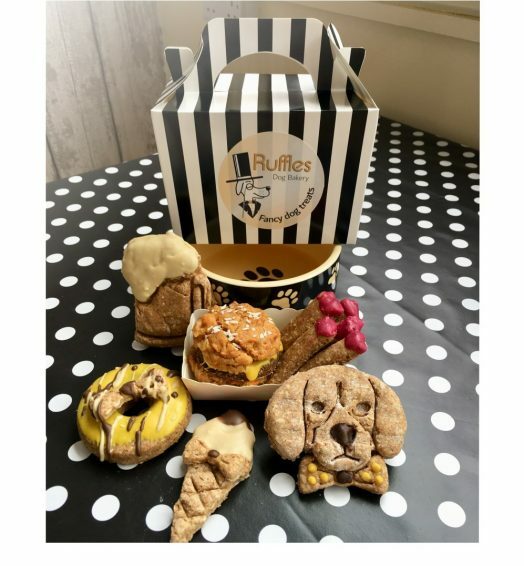 This Ruffles Horsey Treat Box is freshly baked to order and gives your horse or pony a selection of very tasty treats. 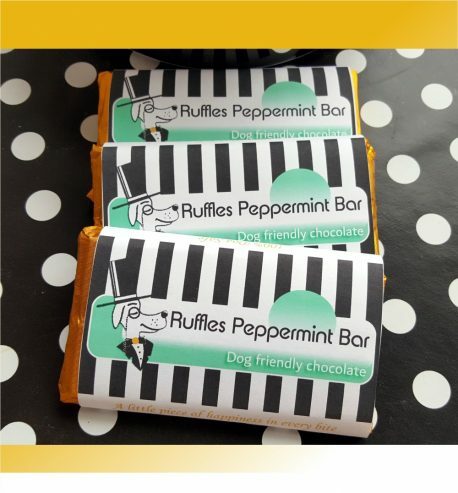 Made from all natural human ingredients with no added sugar, salt or preservatives, these treats are both #ruffilicious and healthy. We have found that horses absolutely adore them!! 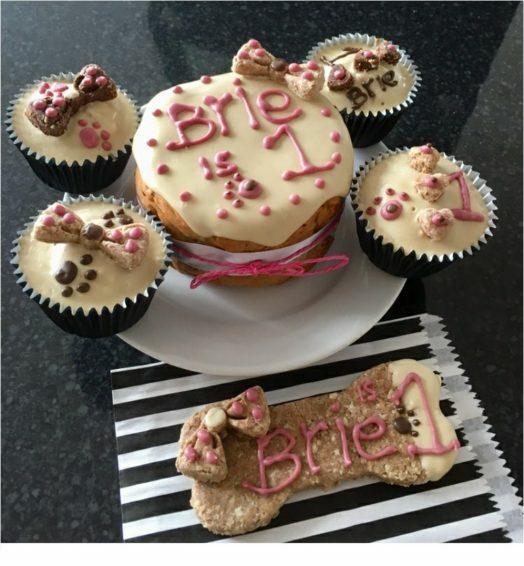 Our biscuit treats are flavoured with parsley, basil, garlic and mint so are suitable as an everyday treat when fed alongside a balanced diet for horses and ponies, even equines prone to laminitis. But of course if you are in anyway unsure about their suitability please do check with your vet first. Ruffles Hotdog and 10 dipped chips is available for delivery or collection. 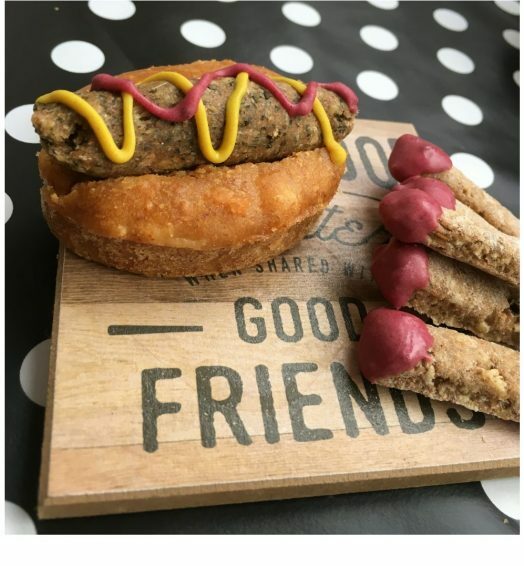 Why not treat your dog to a ‘take-away’ tasty herb flavoured sausage hotdog and chips baked using only dog friendly healthy natural ingredients that we know your pet will go crazy for. Mc Ruffles Cheeseburger and 10 dipped chips is available for delivery or collection. 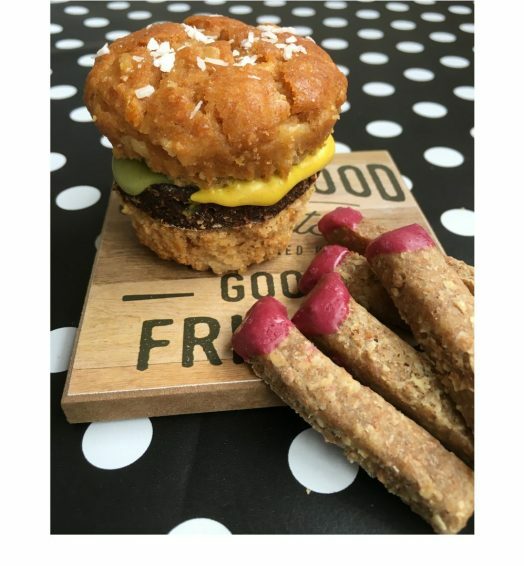 Why not treat your dog to a take-away cheeseburger and chips baked using only dog friendly healthy natural ingredients that your pet we know will go crazy for. 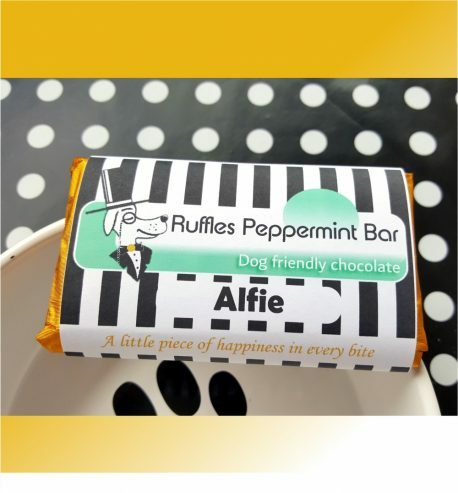 *Very Important* Please input dogs name for personalisation and the date required in ‘Order Notes’ at the Checkout. 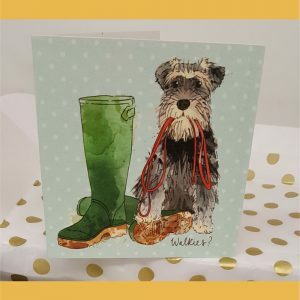 Great Birthday or Gotcha Day Gift for your dog!! 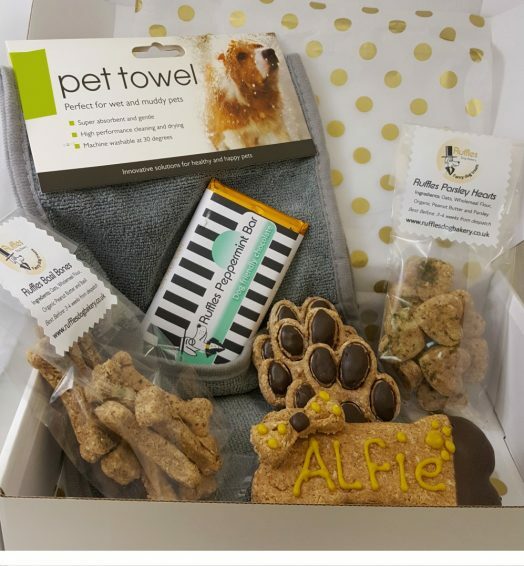 *Important* – For Personalised Dog Bone and Gift Box please input your dogs name in ‘Order Notes’ at the Checkout stage. It’s Saturday Night and your ordering yourselves a take-away, but what about your four-legged friend? 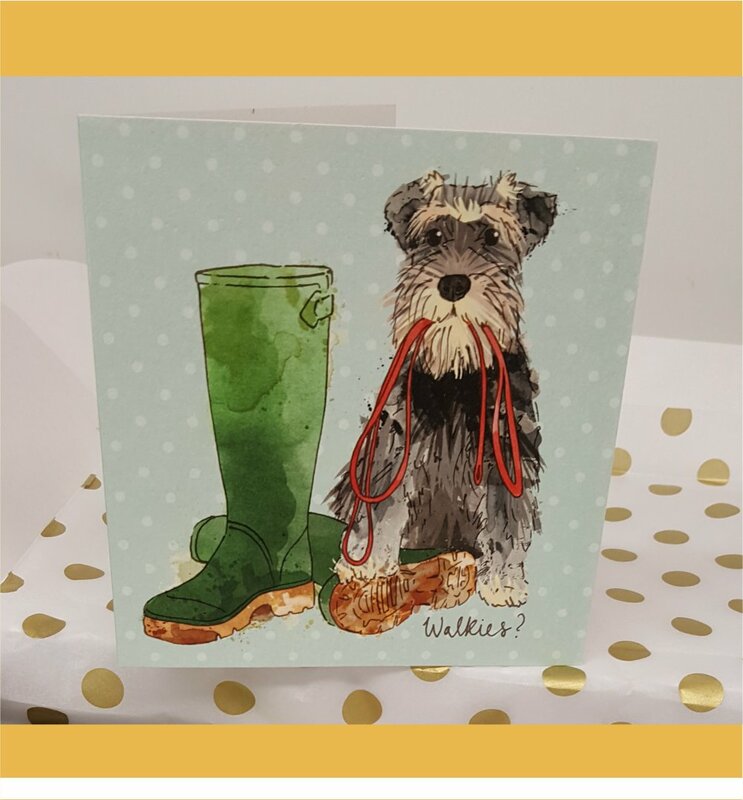 Well now your dog can enjoy a take-away treat with you…. 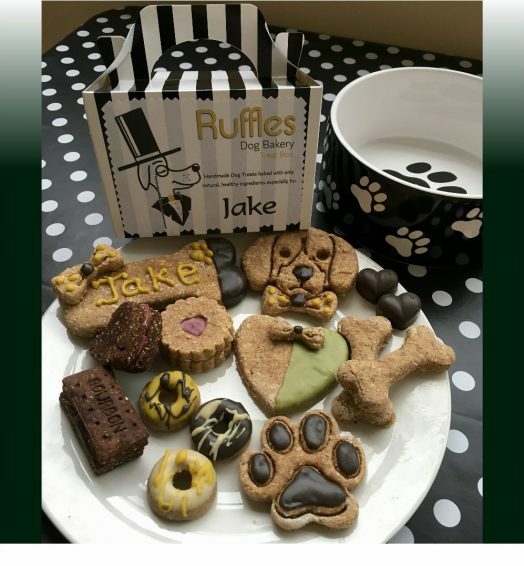 He will love his tasty treats that are freshly baked just for him using only natural healthy ingredients to resemble his humans food!